Children have some of the most open and pure hearts on this planet. At Kids Give to Kids (Kspire) we believe in the highest level of hope and compassion in every person. We provide an opportunity for children to practice generosity. There is nothing better than giving from the heart. 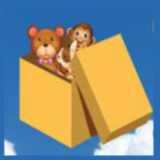 The way it works: Children donate the toys they no longer play with through our App. Other children then choose from thousands of shared toys as gifts. When a child drops off a toy at a participating restaurant he/she will receive a free kid's meal. When a child picks up the selected toy at a participating restaurant he/she will receive a free kid's meal. Participating local restaurants will be the drop-off and pick-up locations for these gifts. Each child will also be able to earn points that can be redeemed for prizes.